Carib fused with folk and a hint of pop ;described as Inter-Fusion which is a combination of Folk, Reggae, & Euro-Pop fused with contemporary Christian & gospel music. 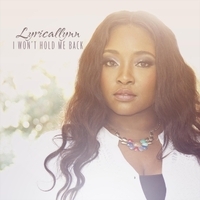 Lyricallynn is a singer/songwriter with a unique versatile sound that infuses popular world genres, creating a diverse medium for impacting various cultures through musical expressions. Her art imitates her life and love of All music. Her music is written with the purpose to inspire positive perspective about life, love & healing.